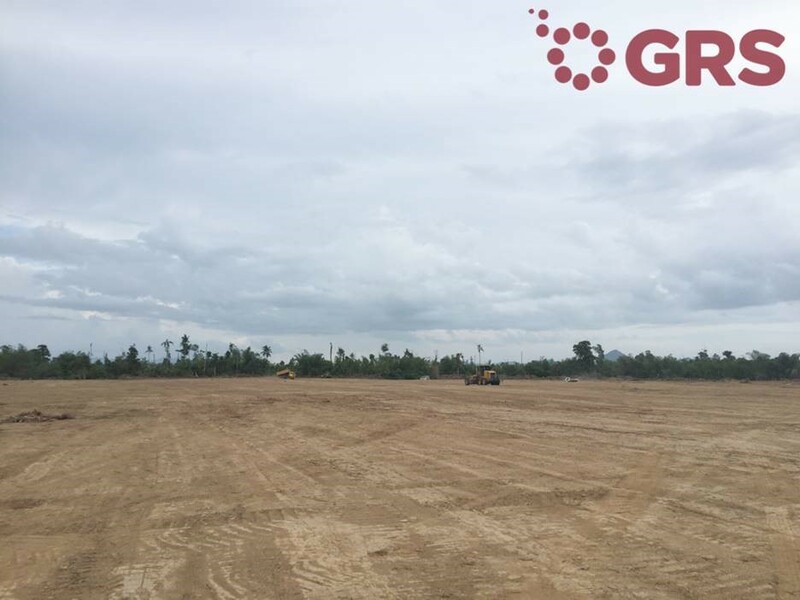 26/11/2015 “Since last October, GRS is working on an area of 75 hectares at Leyte Island (Philippines), in Palo municipality. We lead, provide and contribute with our “know how” to build a new 50 MWp photovoltaic plant with fixed structure that it will evacuate to the main distribution network of the island to 69 kV. We already executed the earthworks to give continuity to our team, and all necessary materials, structures, panels, inverters, etc.